In this article, Jeffoptics speaks about the latest version of the JF-3 glass surface stress meter and its applications in testing different highperformance glass types – especially those with low transmittance. 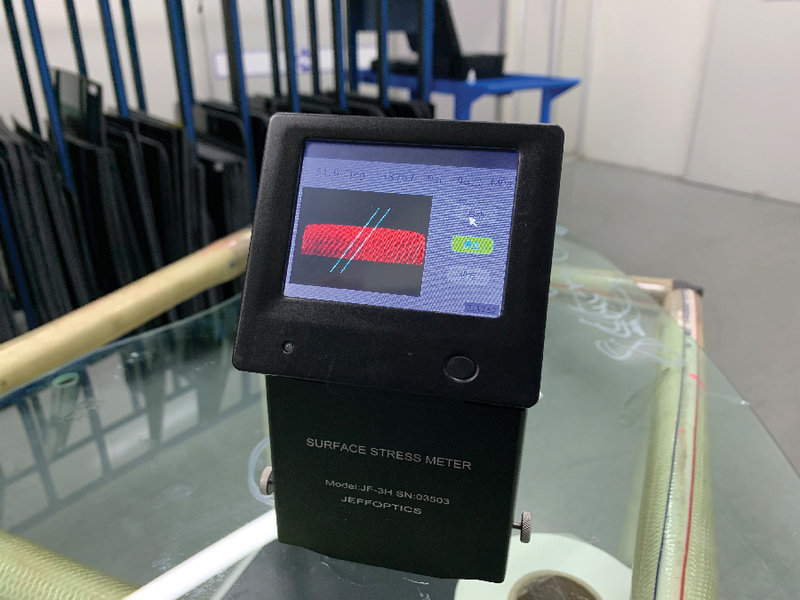 Jeffoptics has released the latest version of the JF-3 glass surface stress meter – the JF-3H, which can be used for testing float glass, annealed glass, heat strengthened glass and tempered glass with transmittance as low as 8 per cent (Such as VG 10 glass). By improving the quality of the optical system, using the state-of-art photosensitive elements, adopting the latest image enhancement algorithm, JF-3 can be used for testing all surface stress levels glass with transmittance as low as 8 per cent with 0.1°/0.1Mpa resolution. Moreover, JF-3 can be provided with a bending glass measurement version; the radius of the bending surface that can be measured is 200 millimetres. The new model is named as JF-3H. The operation method is exactly the same as that of JF-3E, so that operators need no further training to operate JF-3H correctly. JF-3H is a total solution for automotive glass surface stress measurement. 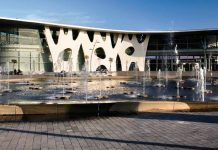 By using JF-3H, operators can test the surface stress of float glass, annealed glass, semi-tempered glass and tempered glass, the operator also can test the glass surface stress of glass with high and low transmittance. 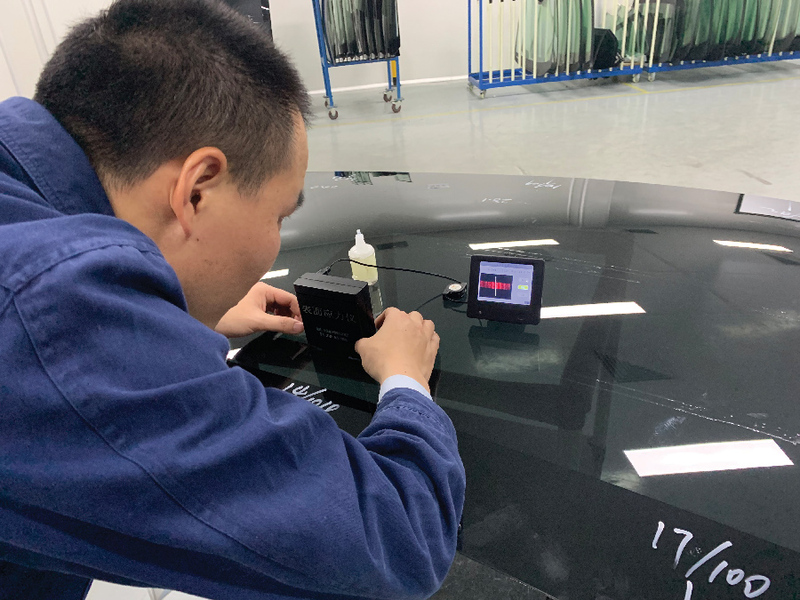 That means, by using JF-3, operator can test the surface stress of windshield glass of automotive, side window glass of automotive, sunroof glass of automotive and rear window glass of automotive. JF-3H can be used to measure surface stress of tin side disregard air side paint or not. JF-3 surface stress meter is a non-destructive glass surface stress measurement device complying with ASTM/EN standards and test method. 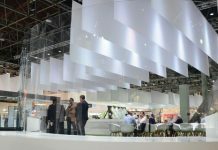 It is suitable for automotive glass, architectural glass, and solar glass. 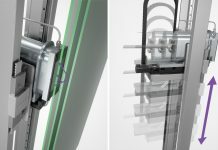 With the aim of providing its clients with better products for glass surface stress measurement, Jeffoptics has developed three glass surface stress measurement devices. These devices provide more accurate results in shorter time, with more user friendly operations. The powerful PC software interface provides automatic and manual measurement, set and report functions. Moreover, it is no longer necessary for operators to carry out field calculations as the PDA is equipped with all meters. The PC software and PDA can increase measurement accuracy, reduce operator errors, improve process control and also reduce operator workload.